Public Works fleet has run on many fuels in the agency’s long history, including the hay-fed mule teams of the Flood Control District more than a century ago. An estimated one-third of the funding to install the new fueling stations comes from the Mobile Source Air Pollution Reduction Review Committee. The grants, which totaled $600,000 of the $1.97 million cost of the projects, were awarded in December 2013 as part of the Committee’s programs to phase out higher-emission diesel powered vehicles in favor of cleaner-burning CNG. The new fueling stations allow the agency to park and fuel CNG vehicles overnight, leaving them filled up and ready for work in the morning. 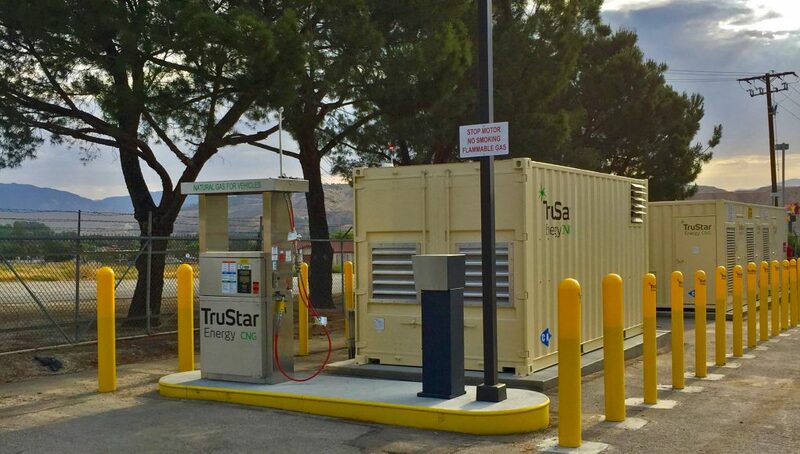 The Castaic and Malibu stations are only the agency’s first phase. With roughly 125 CNG vehicles in the Public Works fleet, work is underway on four additional fueling stations in La Puente, Canyon Country, Hollydale and La Crescenta.